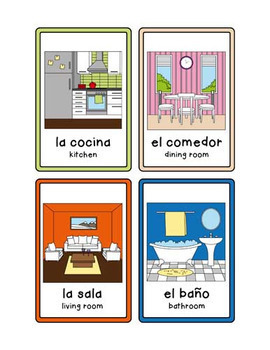 Do you need a fun and engaging way to help your elementary students learn their Spanish vocabulary? 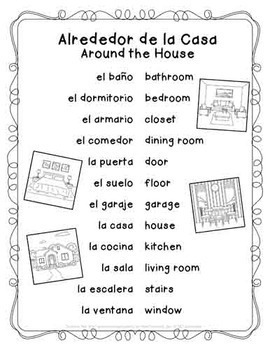 Then Spanish Around the House Puzzles are for you! 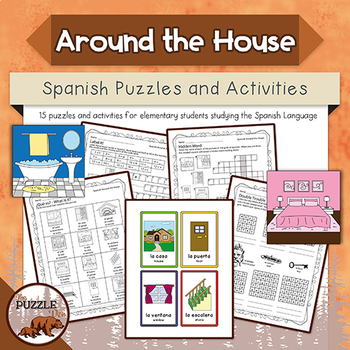 In this set you will find a vocabulary list and flashcards for 12 house related words plus 15 worksheets filled with puzzles and activities to give your students practice using those words. A complete answer key is also provided. Some puzzles are easy for younger students and others are harder for older students, so it's up to you to choose which will work best for your students. This set contains bonus vocabulary jigsaw puzzles! You can download a complete preview of this product by clicking the "Preview" button above. If you have any questions, just click the "Ask a Question" tab on my store's homepage, and I'll get back to you ASAP! 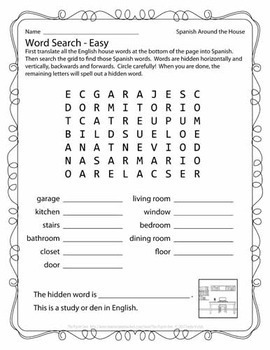 Do you need more Spanish puzzles? Click here!